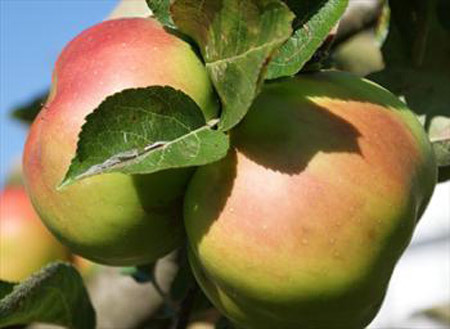 Bramley's Seedling is the definitive English "cooker" - an apple variety used mainly for cooking purposes (although many customers like to eat them fresh as well). 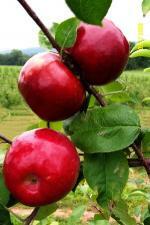 Bramley is well-known for its rich sharp acidity, and it has one of the highest acid contents of any apple variety. As a result it cooks down to a stiff apple puree, a key requirement for English apple cookery, with an excellent sharp flavor. The copious juice makes Bramley's Seedling valuable for juicing as well, and the juice is also used in cider production. 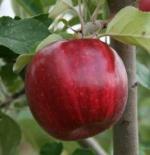 Bramley's Seedling trees are well-known for being long-lived. The first tree was grown from a pip in a garden in Nottinghamshire, England, in 1809 - and amazingly this tree still survives.